A wedding can be memorable for many things such as bride’s dress and accessories, wedding decoration, entertainment and more. However, one of the most important among these is wedding food. If you want that your big day should be remembered for years by your guests for the food you served, here are some tips shared by an industry expert. 1. How Many Appetisers Should be Served? 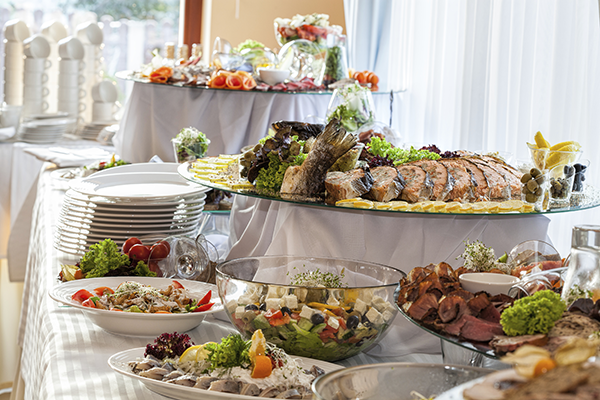 According to experts at Host Events, a leading wedding planning company in Australia, great wedding buffets should contain at least four appetisers. But you can even have as many as seven and that can give you enough variety, including sushi, tuna tartare on spoons, mini-grilled cheese sandwiches, meatball sliders, bruschetta and so on. Your guests may comprise of fussy eaters. So, if you have a variety, all the people will get something that they can enjoy. 2. What are All-time Favourite Wedding Meals? You can have grilled corn, lobster rolls, coleslaw, potato and chopped vegetable salad, and in the dessert you can serve ice cream cake as well as shot glasses of butterscotch pudding with rum sauce. 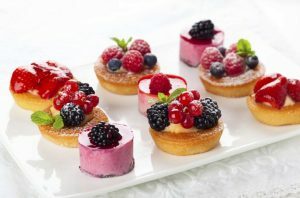 You can also serve other shot glasses which may be filled with berries adorned with mint. Keep jars of peanut butter pretzel cookies together with tongs so that your guest can help themselves. You can also choose to have traditional buffet which consists of bain-maries or large bowls of cold and hot dishes on a side table. You can choose to have a few servers to help your guests or they can serve themselves comfortably. It’s not easy to serve 150 hot meals and so, you should aim to serve the food that should taste good at room temperature. Here you can choose the option of “build-a-meal” in which the main course and sides are layered together. E.g. you can have an argula or kale salad topped with mashed potatoes or quinoa, finished with slices of grilled chicken. Having a layered vegetable terrine of broccoli, roasted potatoes, red and yellow peppers and cauliflower topped with shredded chicken, or chicken curry spread over basmati rice dusted with golden raisins and coconut are also wonderful ideas. Another great option is the shared table buffet. This is also referred to as family style buffet because it looks like when a family visits a restaurant to have lunch or dinner. This type of buffet offers an intimate environment and your guests can enjoy sharing meals together, just like a family, even though not all of them know others. Here the menu is served on large platters in the centre of the table and guests can help themselves. The platter is re-filled from time to time by the servers. This is a comfortable option for your guests as they don’t have to walk towards the side table buffet for extra servings. 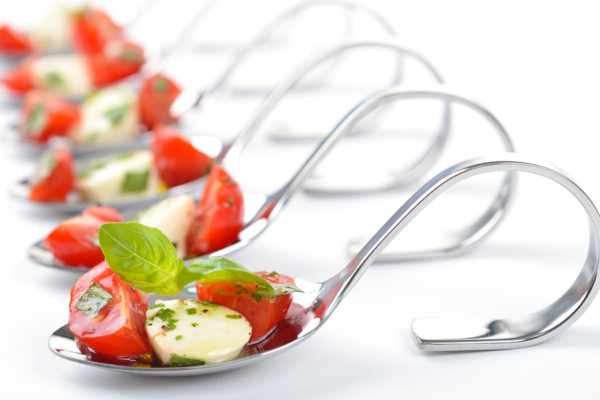 All in all, you have plenty of options to make your wedding food memorable. Make it so, enjoy it with your guests and get praises for years to come.